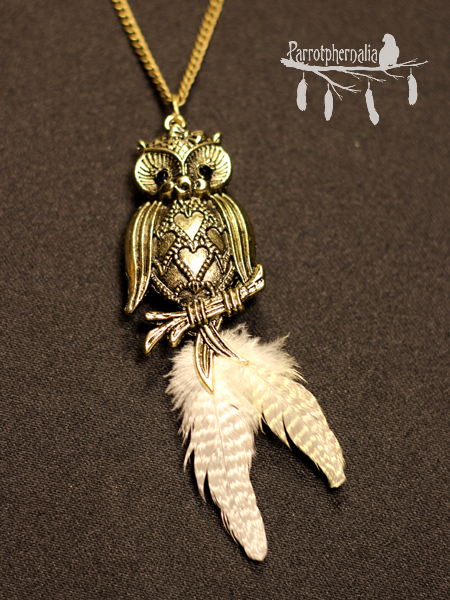 This happy owl pendant has been revamped and given feathers. 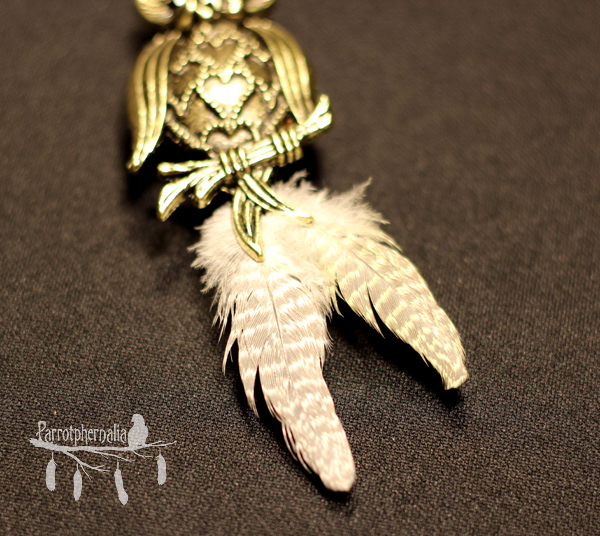 It shows its love on his belly with heart shapes and has beautiful black rhinestone eyes. Naturally molted feathers are white and grey, and a light yellow and grey, likely from a cockatiel. 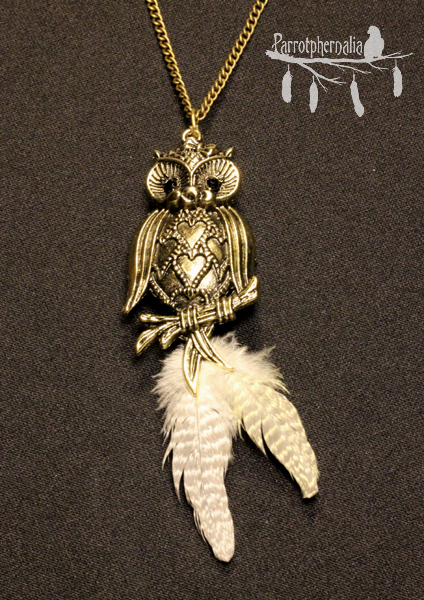 Pendant is about 4.5 inches in length and about 1.25 inches in width. Comes with 27 inch long bronze coloured chain necklace. This happy little owl will turn any frown upside down.